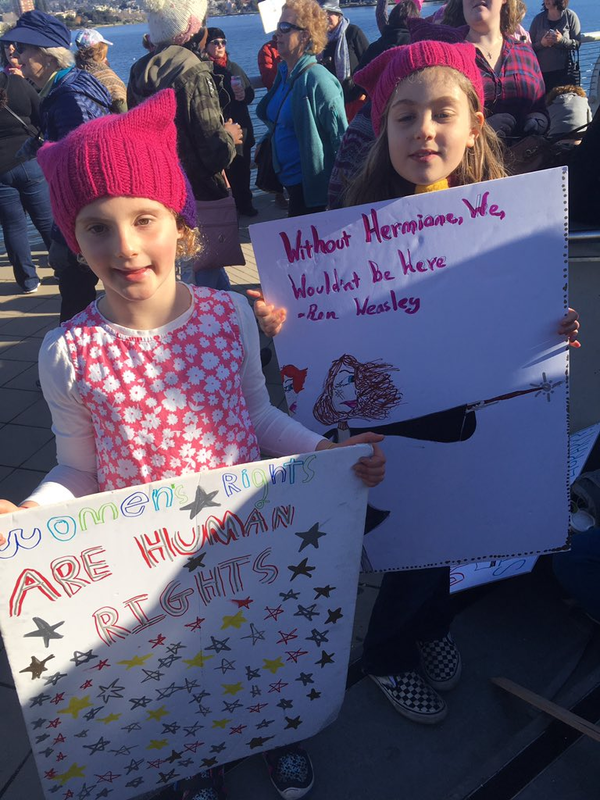 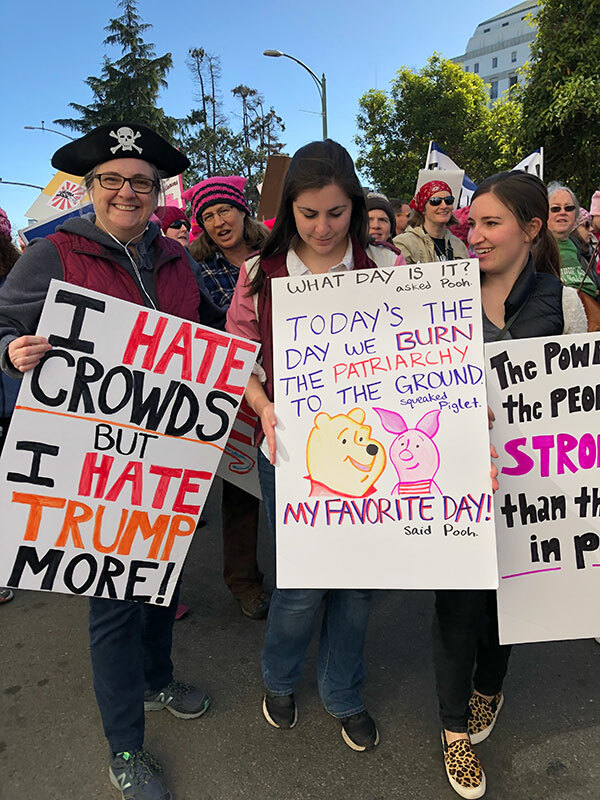 Across the Bay Area more than 100,000 people turned out for Women's Marches today. 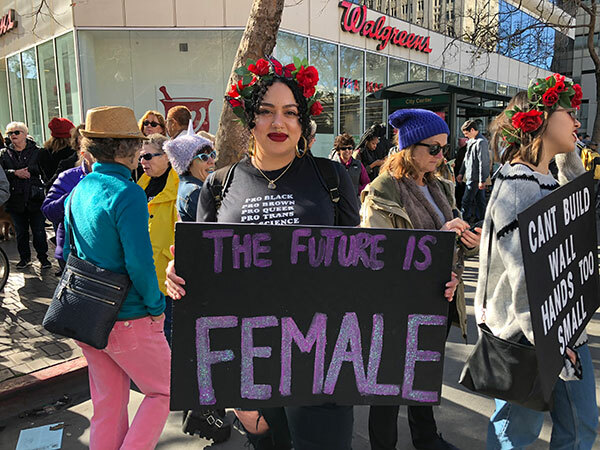 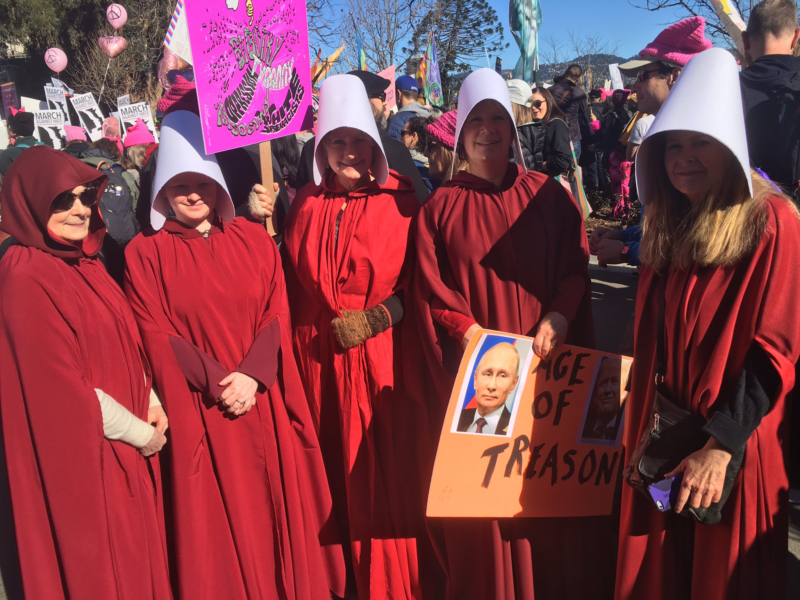 This comes one year after millions of women took to the streets nationwide in the wake of President Donald Trump's inauguration to rally for women’s rights. 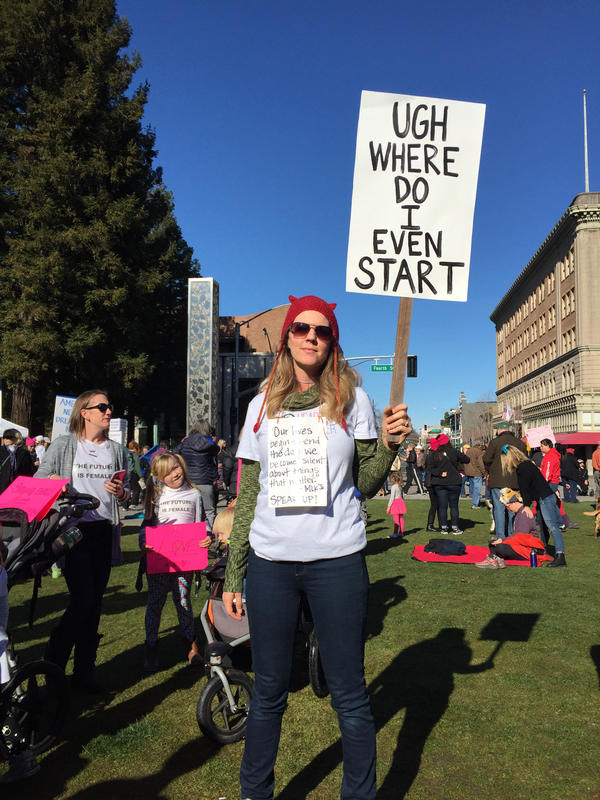 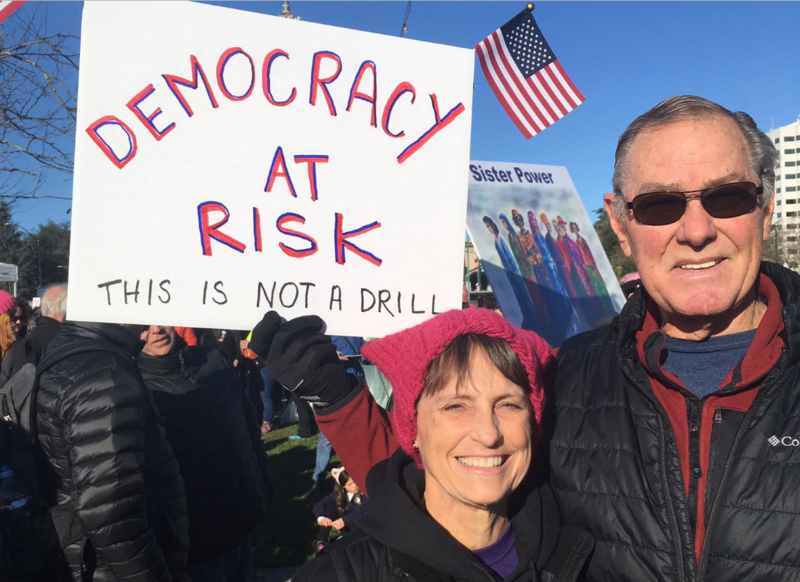 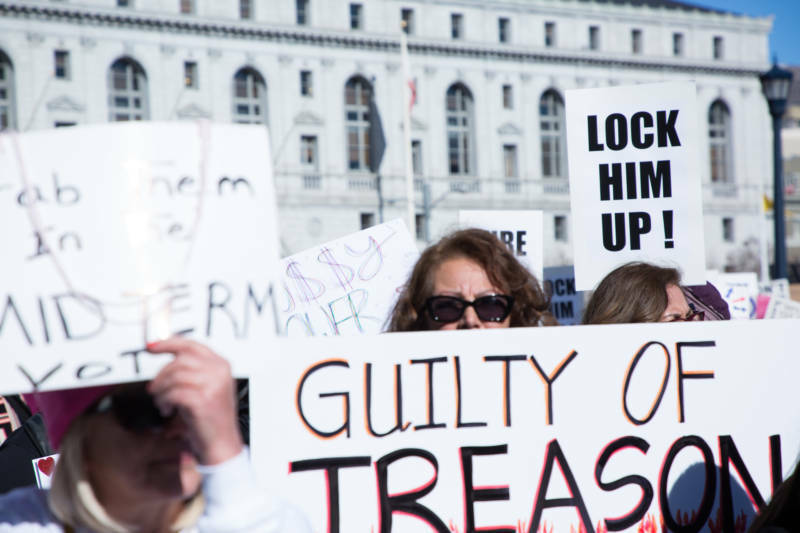 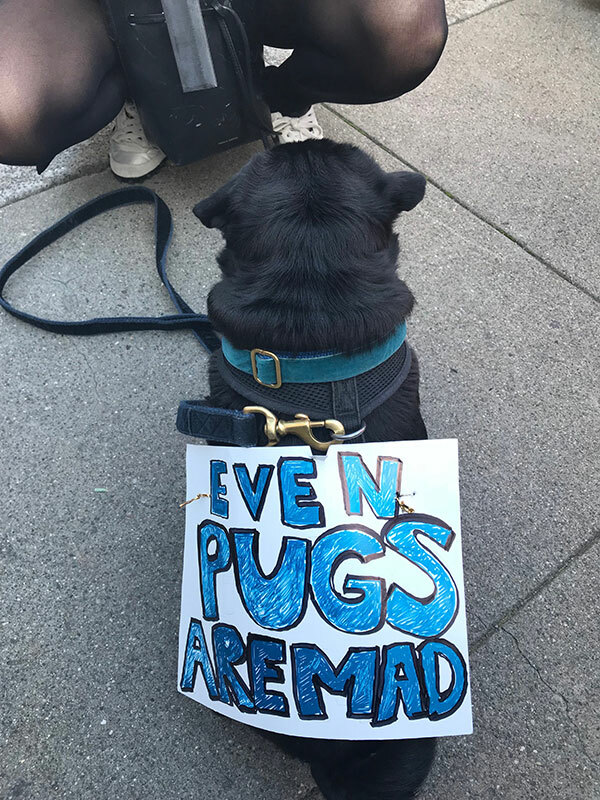 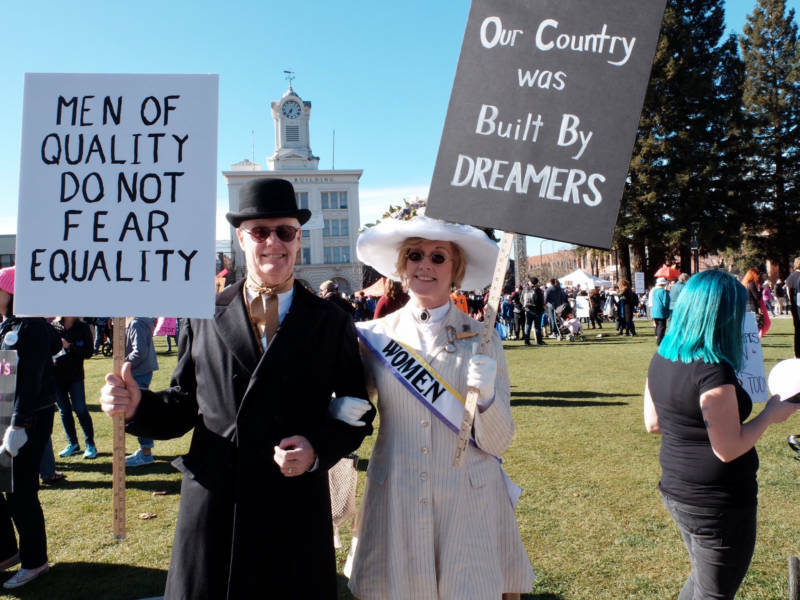 Marches took place in big cities, like San Francisco and Oakland, but also smaller locations like Pacifica and Santa Rosa. 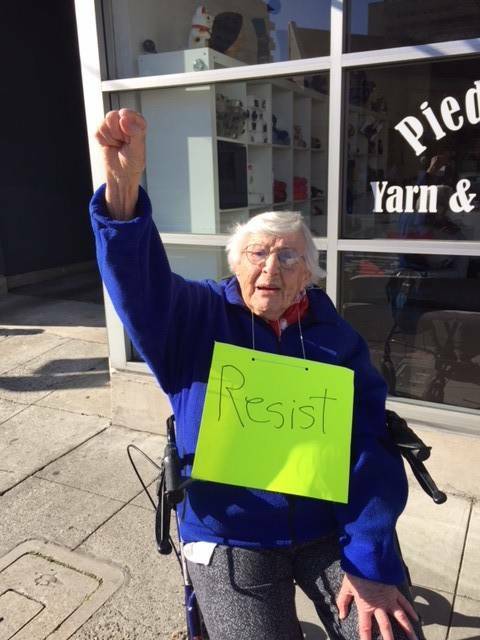 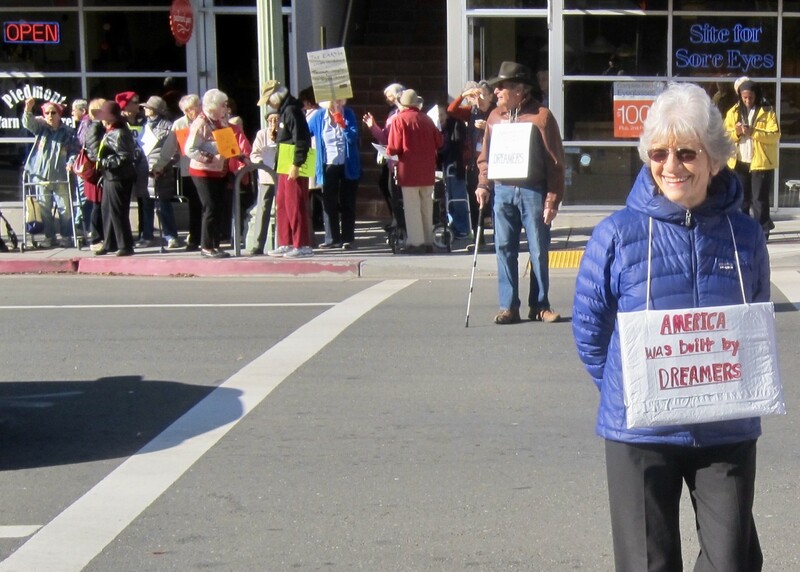 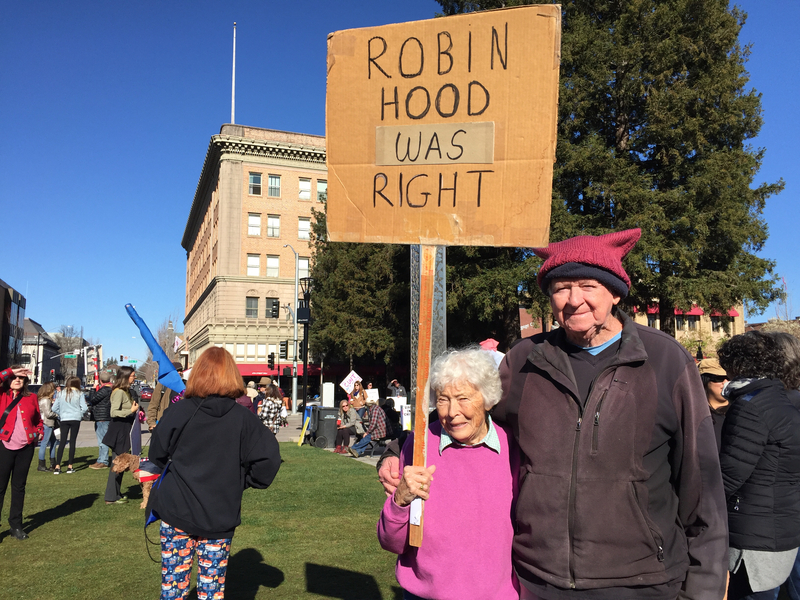 A retirement community in Oakland even staged its own small march. 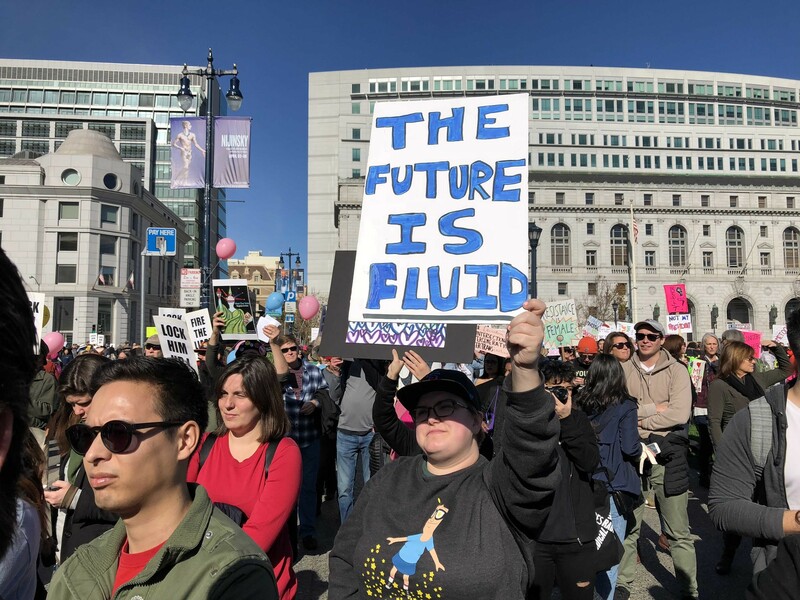 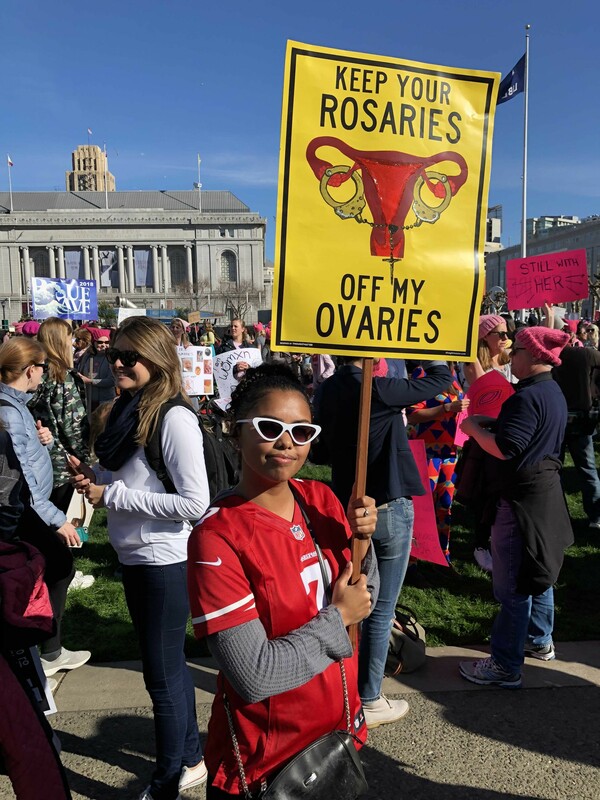 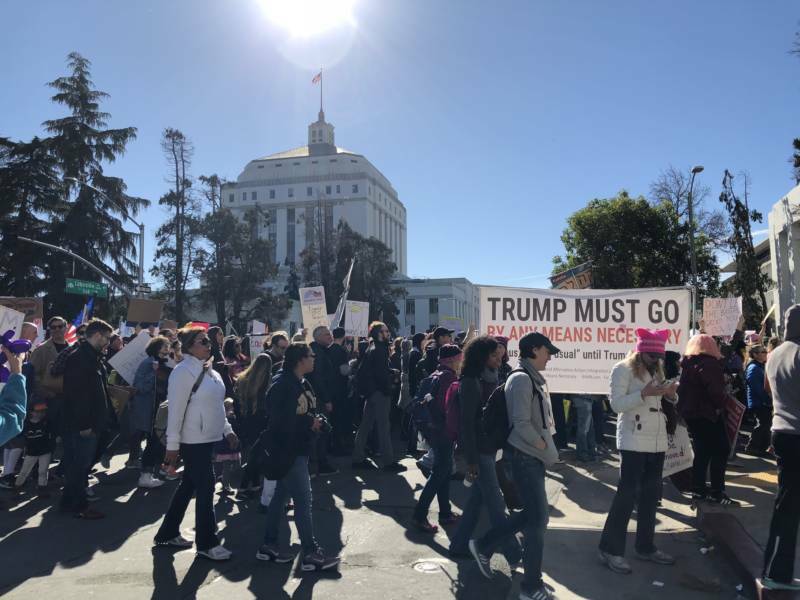 Oakland police say that city's march drew an estimated 40,000-50,000 participants, while organizers in San Francisco say that march drew at least 65,000 people. 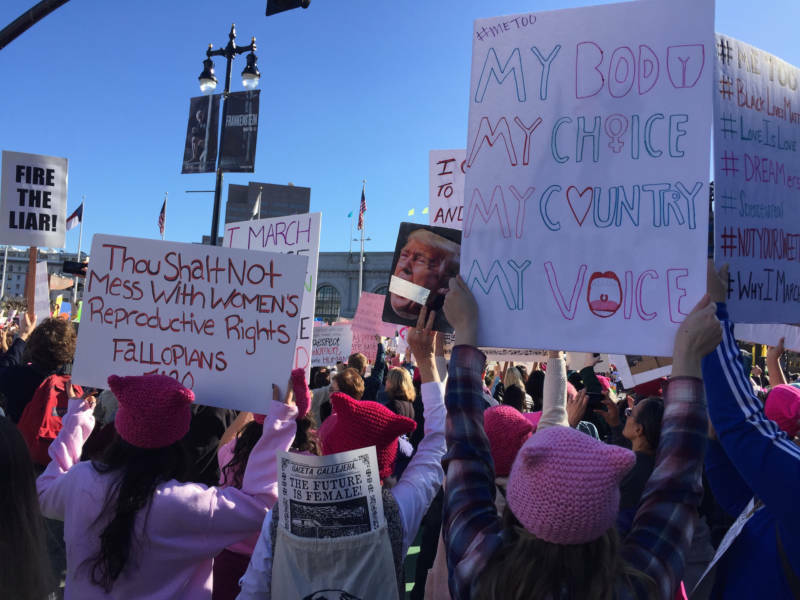 The focus for Women's March organizers shifted as they planned this year's anniversary events. 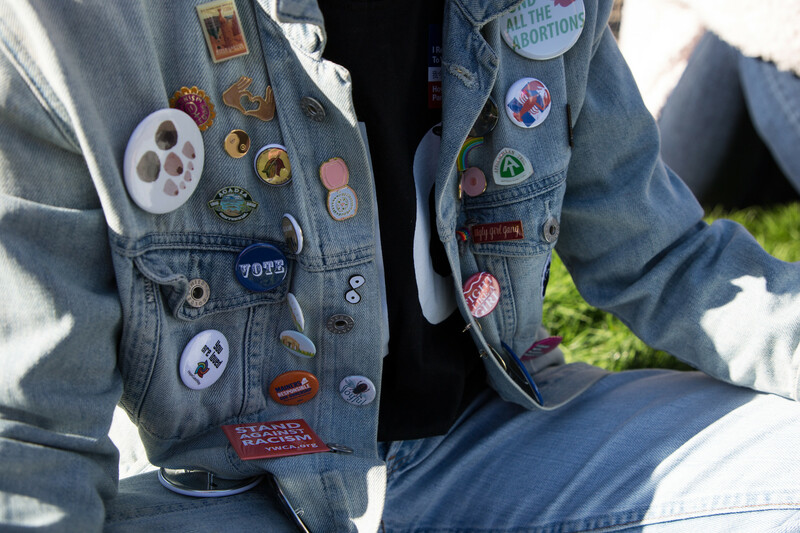 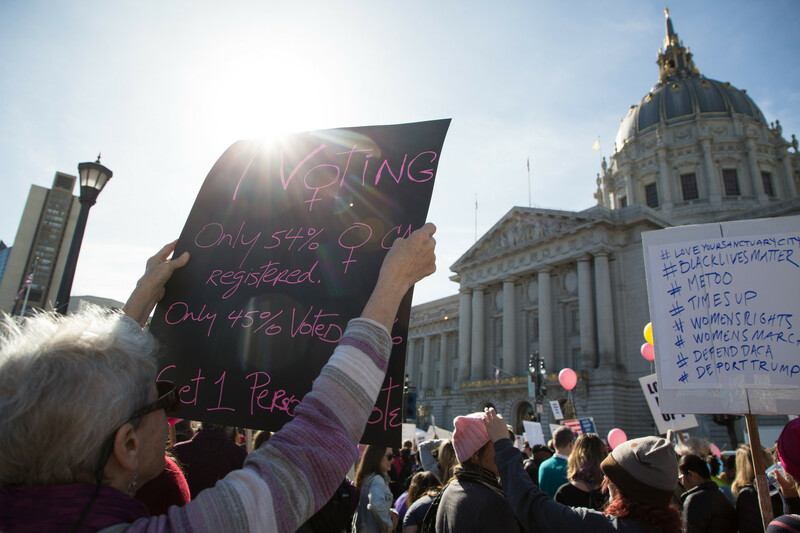 Chandra Brooks, a member of the advisory committee of Women's March San Jose, says voter registration and getting more women elected to office is taking center stage. 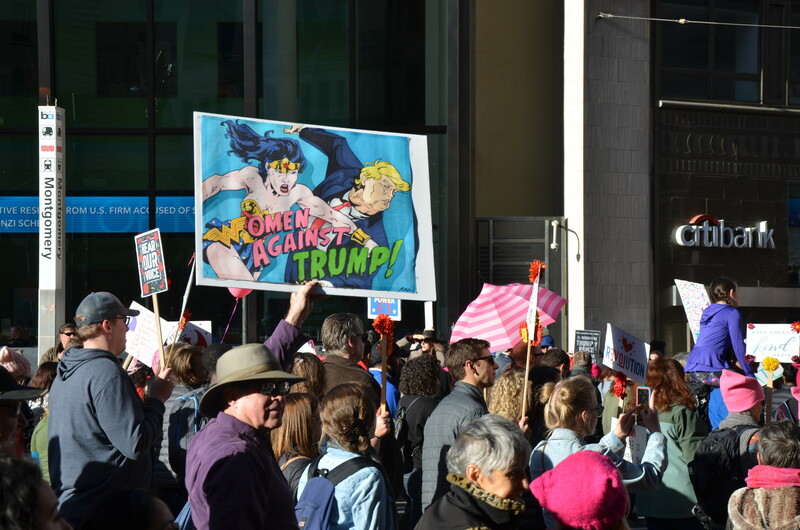 "Last year fueled a lot of women to run for political office or to take their seats on commissions, on boards," Brooks said. 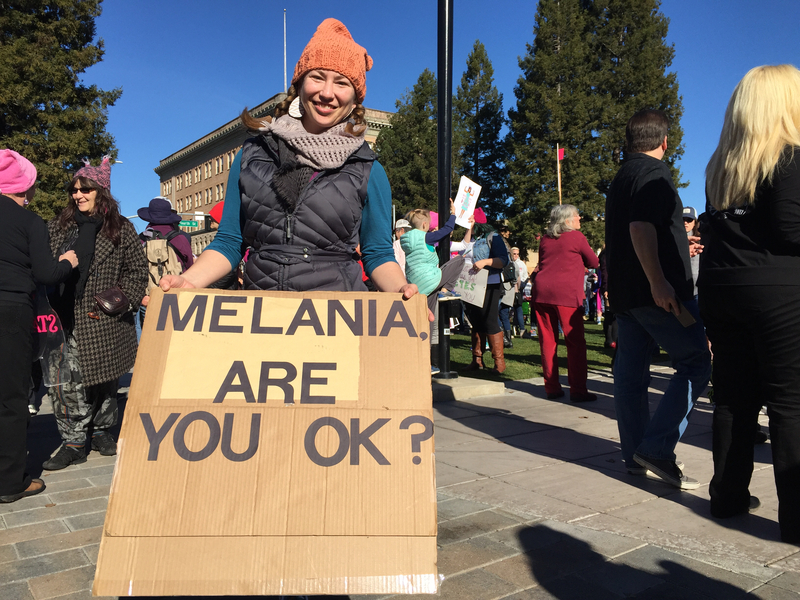 "Women are getting confident and saying, 'I can do that too, I can run.'" 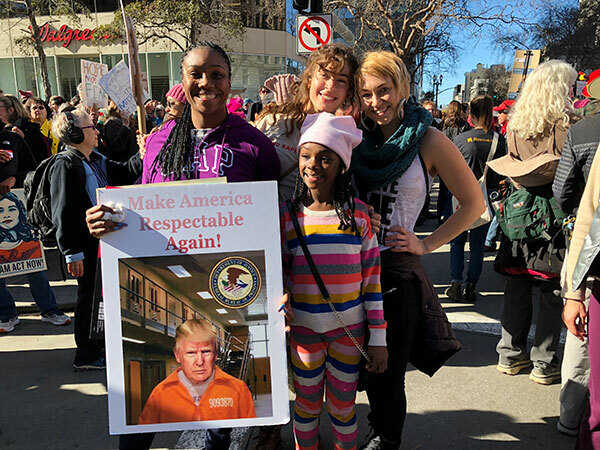 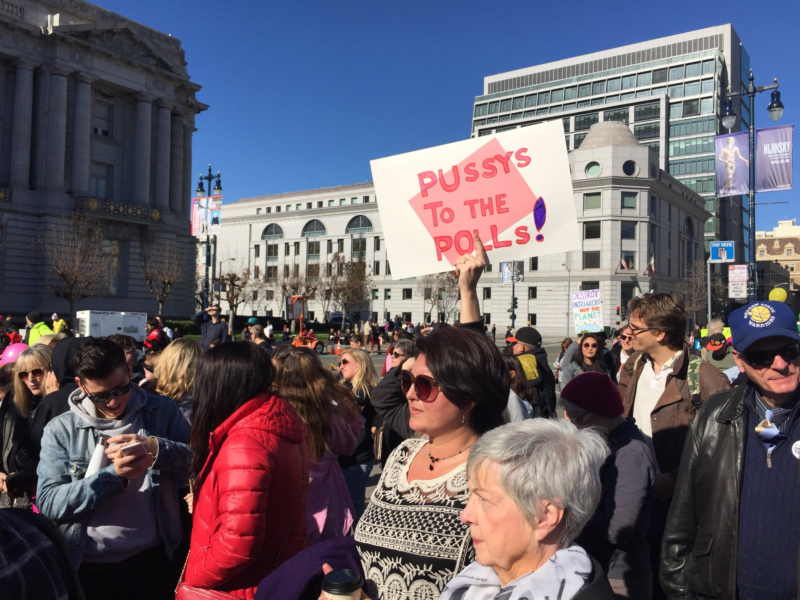 Many of the speakers at the San Francisco march and rally implored women to become more politically active and to run for public office. 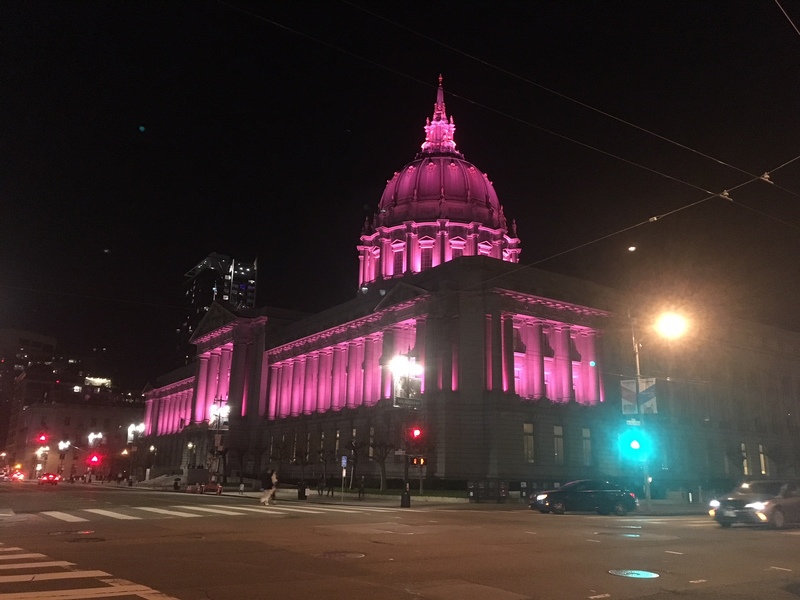 "We run, we vote, we get more people to run, we get more people to vote," said San Francisco Supervisor Hillary Ronen from the stage in front of City Hall. 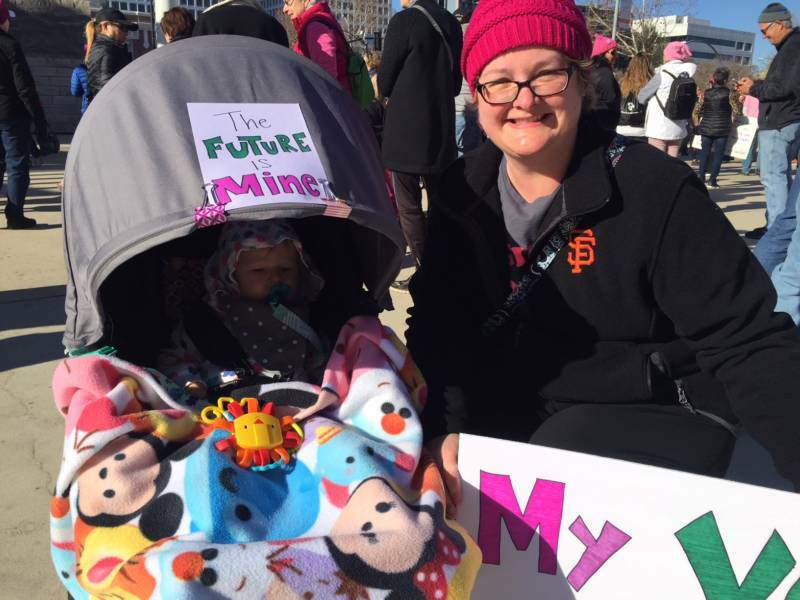 She encouraged those present to register to vote and to support local measures including putting an initiative on the June ballot to create universal childcare in San Francisco. 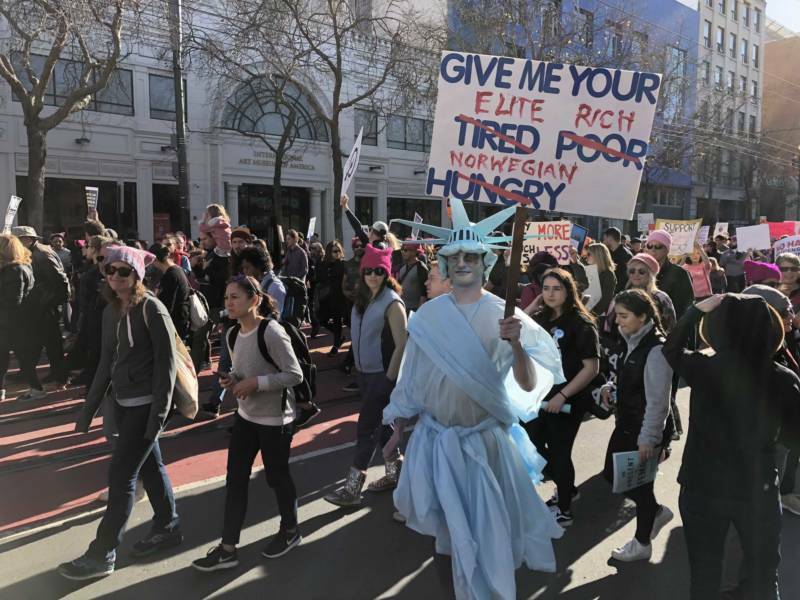 Other organizers at the San Francisco rally looked for support to reallocate hotel taxes to support homeless people, among other initiatives. 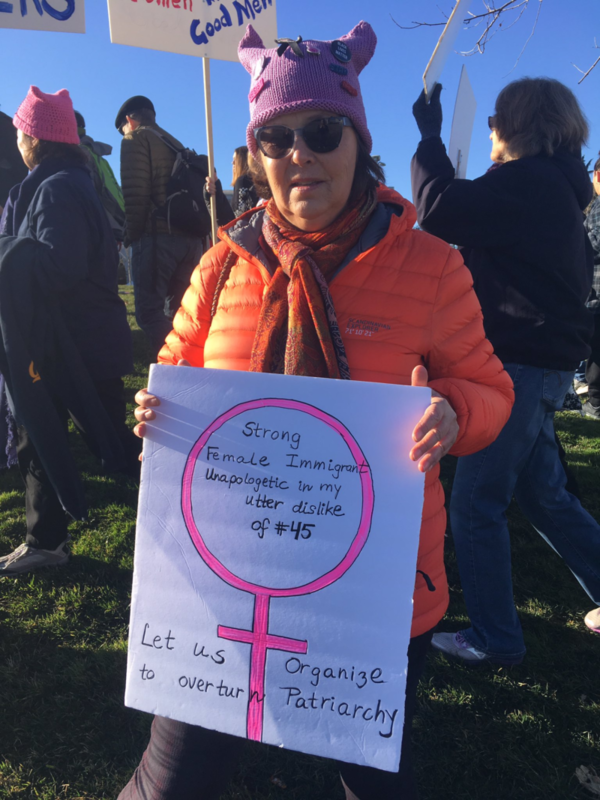 "Our theme this year is hear our vote, march for our future," said Ivonne Quiroz co-chair of the Oakland's Women's March, ahead of the march. 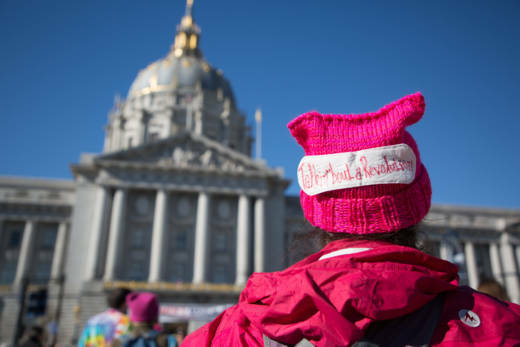 Several speakers at the San Francisco rally identified themselves as "MeToos," referring to the hashtag that sparked the nationwide conversation about sexual harassment and assault in politics and other workplaces. 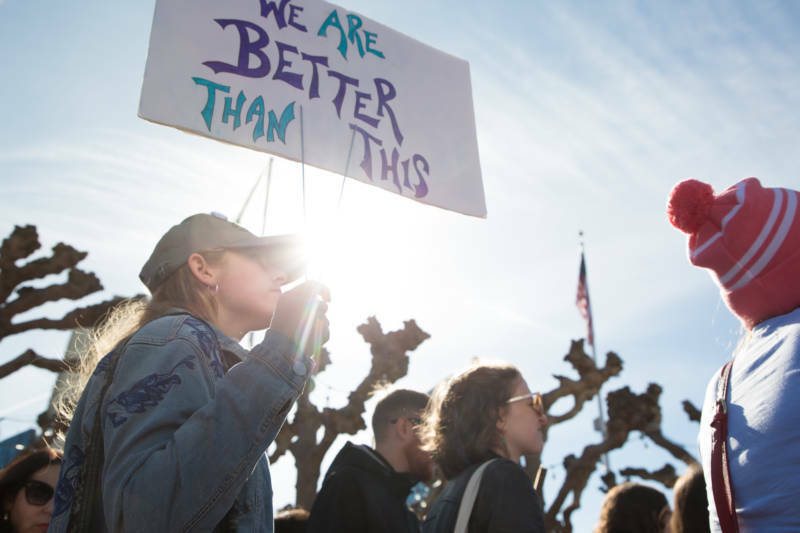 Sadalia King and Viviana Becerra of the We Said Enough campaign focused on sexual harassment at the California state Capitol were two of the featured speakers, and many of the signs in the crowd carried messages related to sexual harassment and assault. 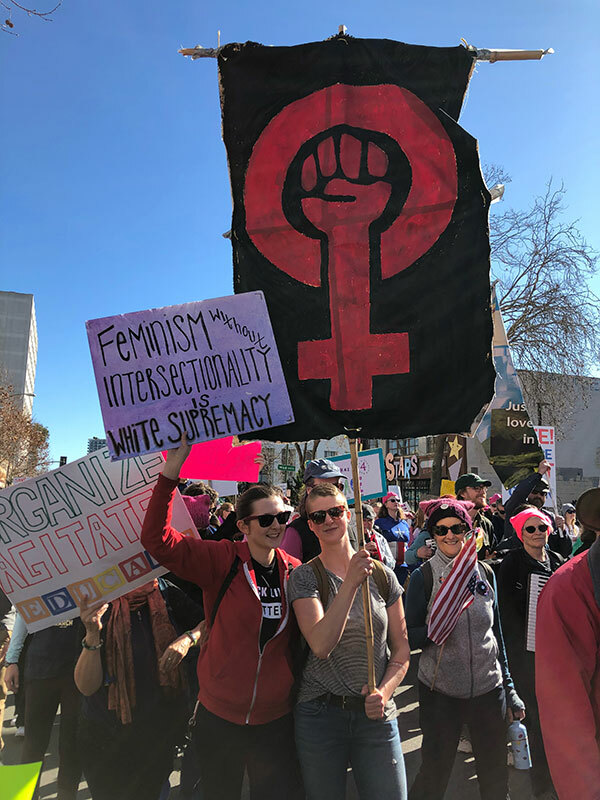 One of the criticisms about the Women’s Marches last year was that they were not as diverse as they could be. 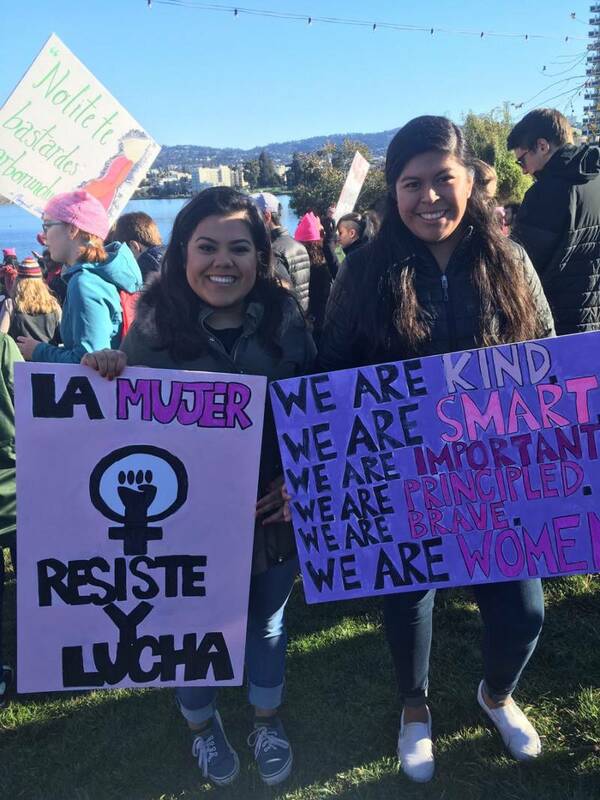 Quiroz said the Oakland Women’s March is working toward inclusion, starting with a diverse leadership team. 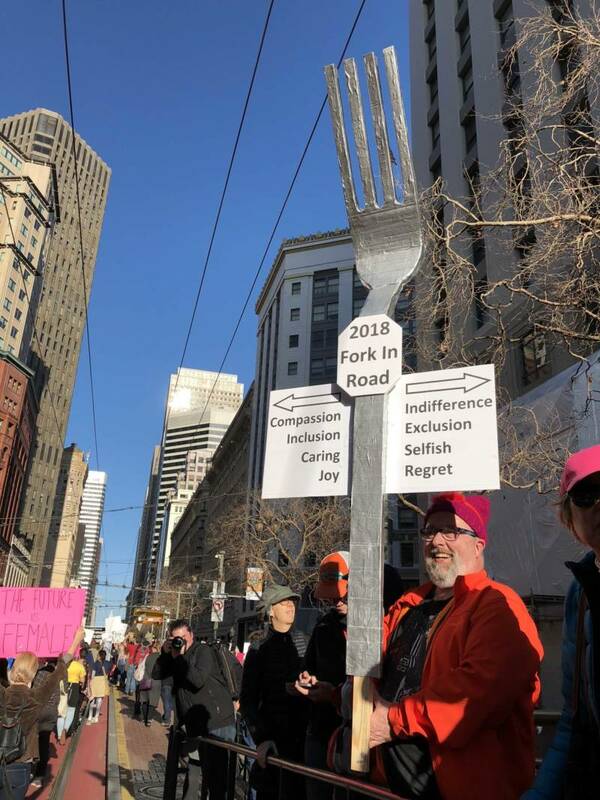 In San Francisco, speakers included members of the Native American, LGBTQ, black, Latina, disabled, Islamic, Jewish and other minority communities. 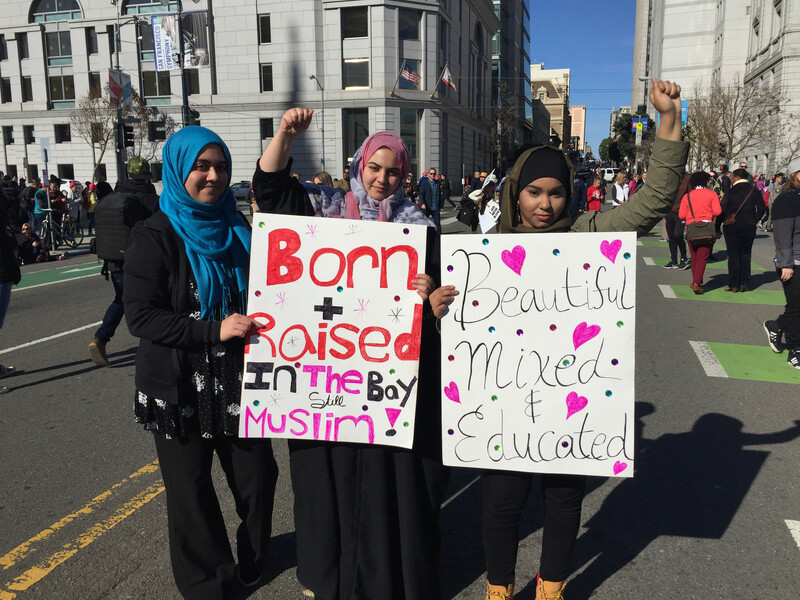 The attendees were also a diverse group of ages, races, religions, gender identities and sexual orientations.